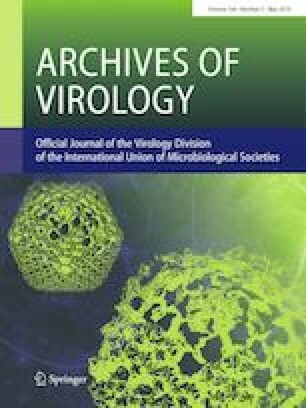 Trypsin digestion promotes disassembly of GII.3 NoV virus-like particles (VLPs) and binding of VLPs to salivary histo-blood group antigens (HBGAs), but it is not clear which specific regions or residues mediate viral attachment to HBGAs. An earlier study indicated that arginine residues in the predicted surface-exposed loop region are susceptible to trypsin digestion. Here, we introduced single or multiple substitutions of four arginine residues located in the predicted surface-exposed loop region of the GII.3 NoV capsid protein (VP1) and observed their effects on susceptibility to trypsin digestion and binding to HBGAs. All of the mutations in VP1, including single substitutions (R287G, R292G, R296G or R307G) and quadruple substitutions (R287G, R292G, R296G and R307G), permitted successful VLP assembly. After tryptic digestion, all VP1 proteins bearing single point mutations were cleaved, resulting in complete digestion or single fragments with various molecular sizes (27-35 kDa), while the VP1 protein bearing four substitutions was cleaved into two fragments (27-55 kDa). Binding assays using synthetic and salivary HBGAs showed that none of the VP1 mutants (singly or quadruply substituted) exhibited detectable binding to HBGA before or after trypsin cleavage. These results indicated that arginine residues within the predicted surface loop region of GII.3 NoV VP1 were involved directly or indirectly in binding salivary HBGAs and could potentially mediate the HBGA-GII.3 NoV interactions through which host cells become infected. This work was supported by the Initiation Fund setup program for newly enrolled doctoral personnel at The Sixth People’s Hospital of Zhengzhou. We thank the Core Facility and Technical Support of Wuhan Institute of Virology, CAS, for their technical assistance in fluorescence microscopy (Ding Gao and Juan Min) and electron microscopy (Pei Zhang, Anna Du and Bichao Xu). YH and XS conceived and designed the experiments. GZ, JL, LZ, JW, WW performed the experiments. GZ and YH analyzed the data and prepared the manuscript. YH and XS revised the manuscript.